When it comes down to purchasing a BCD there are so many different options out there and it can get a bit confusing. After trying out multiple BCDs I was unsure on which way to go. That was until I tried the Hollis SMS 75. 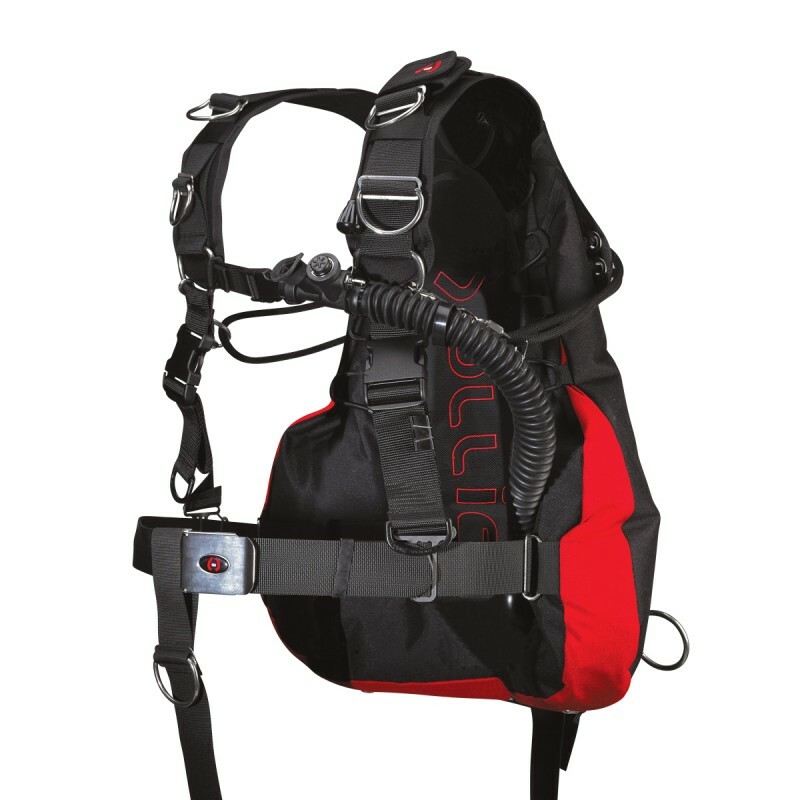 This really is a BCD that has been designed with all diver experience levels in mind. The quality of the materials used in the design of the BCD helps it stand out above the rest. Being able to seamlessly switch between both backmount and sidemount is one of my favourite features of the SMS 75. Back wing inflation also helps make the SMS 75 one of the most comfortable BCDs I’ve used. It doesn’t feel constricting or limiting in any way. Very minimal adjustment is needed straight out of the box. I’ve now gone from a beginner backmount diver to recently becoming a sidemount instructor and I am extremely satisfied I decided to future-proof myself by purchasing an SMS 75. To check out our wide range of BCDs, click the link below or visit us in store to try on some for yourself! This entry was posted in Equipment Reviews, Gear Reviews and tagged backmount, BCD, dive gear, Diving, Equipment, Hollis, Learn to Dive, Scuba, sidemount. Bookmark the permalink. ← Rebreather Courses Completed !